Kids can never have enough of swings. Feeling the wind on the face brings a million dollar smile to their face. Even if they explore all play sets in the playground, children make sure that they can enjoy one more time on the swing before leaving the park. Swings are the most common playground equipment and can be seen in every other playground. There are different types of swings like molded plastic swings, metal swings and wood swings, which are available in various innovative styles. It usually becomes quite a challenging job to select the best one for your kid. Before buying playground swings you should consider certain things. Examine the swing carefully and select the one which complies with the defined quality and safety standards. Check if there is a safety belt installed as it protects your child while he or she is enjoying at it. 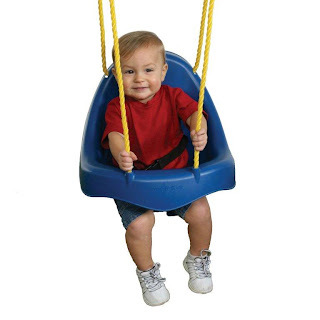 The swing for which you are opting for should have sturdy chains and seats should have a wide base so that your child can comfortably sit on it. Community, school or church playground is not the only place; you can also install the swings in your backyard. Explore the vast collection of superior quality swings at Playgrounds.net, selling the equipment at reasonable prices.